Businesses need good agile websites to function. There are several web development companies that work on different web development languages like JPS, Perl, ASP and PHP. PHP is the most popular and is considered the best language for website development. A good PHP website development company will prove to be an asset on your journey towards building a good website. Most of the popular websites like Facebook, Tumblr and Yahoo were built with PHP. PHP is a server-side scripting language. Why PHP is considered the best and most useful language for complex website development needs? Let’s find out. It is a simple language to learn. Basic knowledge can be acquired in HTML, and then web developers learn a few syntax, and they can start programming. Scripts of other languages need to be compiled before reaching execution stage. PHP doesn’t need compilation. With PHP a coder has to follow 3 simple steps: Write the script, Upload it to the web server and then see the output on the browser. Compared to other languages like Perl, .Net or ASP, PHP is the most flexible language. It is open source, and therefore users can use any editor to write its codes on. It can be easily combined with different libraries. PHP is free to use - an open source language. It has a huge amount of available documentation which makes it easier for everyone to use it. It is a very cost-effective alternative. Almost all the web servers can host PHP. It makes sense for businesses to use it as the cost of PHP development is low. All websites made with PHP are highly customizable. All content management systems like Drupal, WordPress, Joomla are primarily based on PHP language. Therefore developing or integrating a customized CMS solution with your website developed with PHP becomes very easy. PHP is compatible with almost all the operating systems like Microsoft Windows, Linux, Mac OS X, Solaris, Unix variants and more and can be thus installed easily on them. It is compatible with most of the web servers and supports all the major web browsers. It is therefore a very reliable and stable option. PHP has the huge support of developers community. This community actively addresses any problem that comes up. The community supports each other and constantly helps in developing the usage of the language so that it benefits everyone. With PHP the speed of the development increases, the speed of the execution increases too. It has quick turnaround time. With its large libraries, big range of extensions, easy embeddability aspect, cross-platform functionality, it enables the web developers to create one-stop solutions. Websites built with PHP process data faster. It all makes the website more efficient. 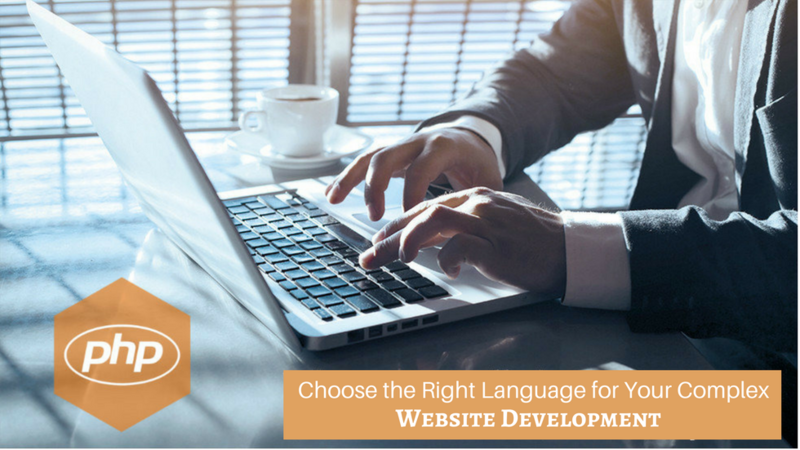 There are several languages for web development, but the kind of efficiency a website built with PHP can give you, other languages cannot. Go for a good PHP website development company in Toronto which answers all your questions and has experience with PHP development for your website development and you will never regret your decision.